"Take a stroll back in time...."
"If it ain't broke, don't fix it." This quote was the motto of our founder, Eddie Tuttle, who believed that his restaurant could stand the test of time through hard work and high quality. He never saw the need to franchise or increase the size of his menu. He was proud of his "little restaurant" and the opportunities it would bring his family. For this reason, we have worked as a family to maintain high quality while still preserving our history. 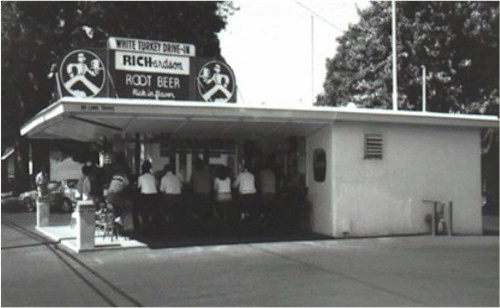 Eddie and Marge Tuttle visited a Richardson Root Beer stand while on vacation and fell in love with the rich flavor of the drink and uniqueness of the business. 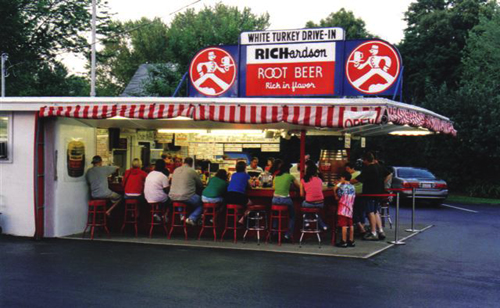 They decided to act on their dream of opening their own restaurant and bought the franchise in 1952. 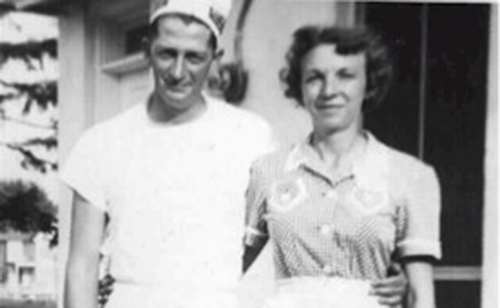 At this time, Eddie and Marge also operated a turkey ranch at their home in Conneaut. They wanted to create a menu item that would showcase their farm-raised turkey. After much trial and error, Marge created the famous Turkey Sandwich. They decided to name their new restaurant after the White Holland breed of turkey raised on their ranch. This is how we acquired our unique name! Peggy and Gary Tuttle, son of Eddie and Marge, decided to continue the family tradition at White Turkey starting in 1981. They have watched the business grow while maintaining original authenticity. The family and helpers still prepare the turkey using the original recipe and preparation method. Gary passed away in 2012 leaving a legacy to his family and patrons for years to come. 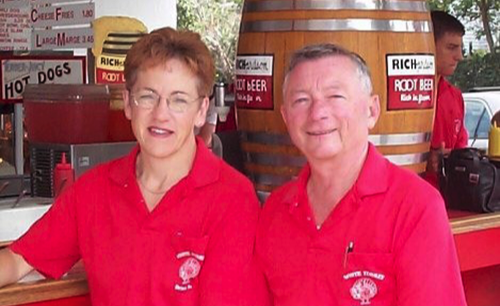 Kelly and Bradd Vito joined Kelly's parents, Peggy and Gary, in 2001 making them the third generation of White Turkey operators. The couple are both elementary teachers for Ashtabula Area City Schools and use their free summers to work within the business. They hope to keep the tradition alive for generations to come.